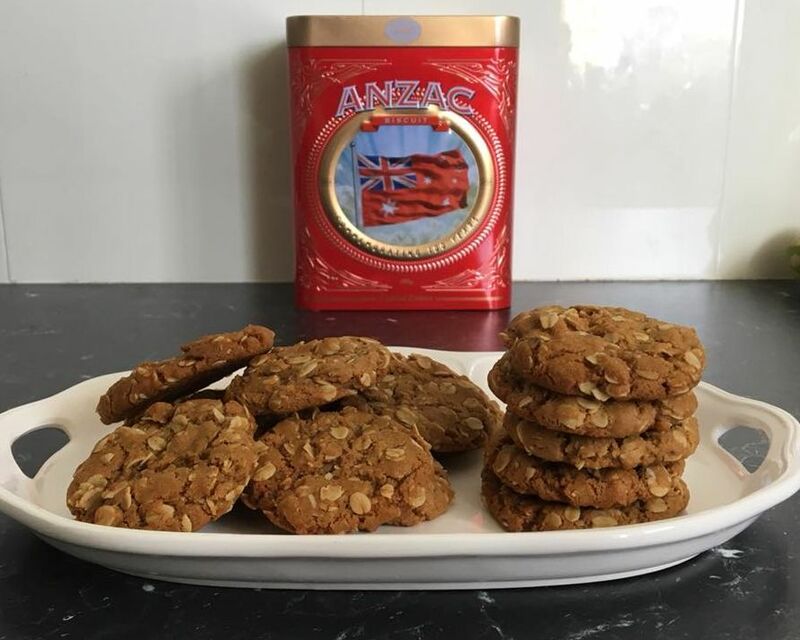 ​Each year my daughter likes to make these ANZAC biscuits on ANZAC day. It has become a tradition. They are super quick to make, and are packed full of flavour. 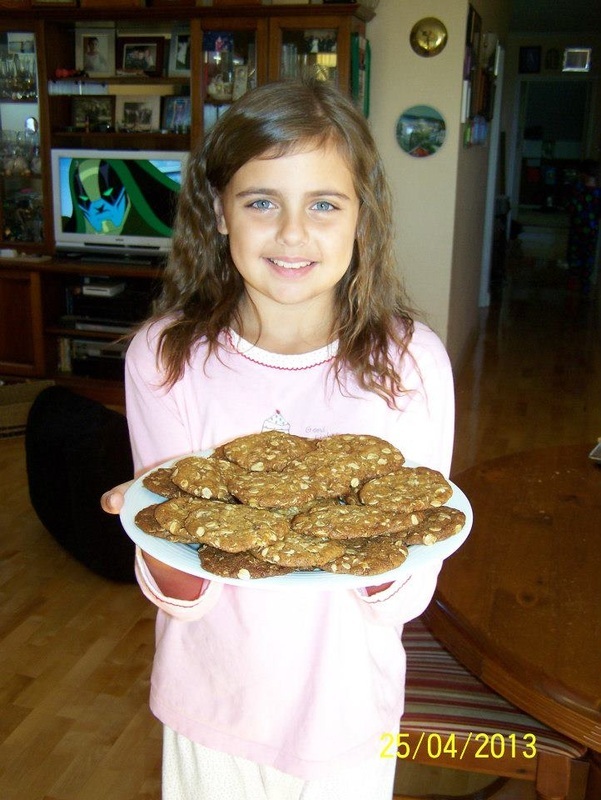 Depending on how big or small she makes them determines how crisp or soft they are. I love them crisp and crunchy, she likes them a little softer. If you want them softer, just bake them a little less. 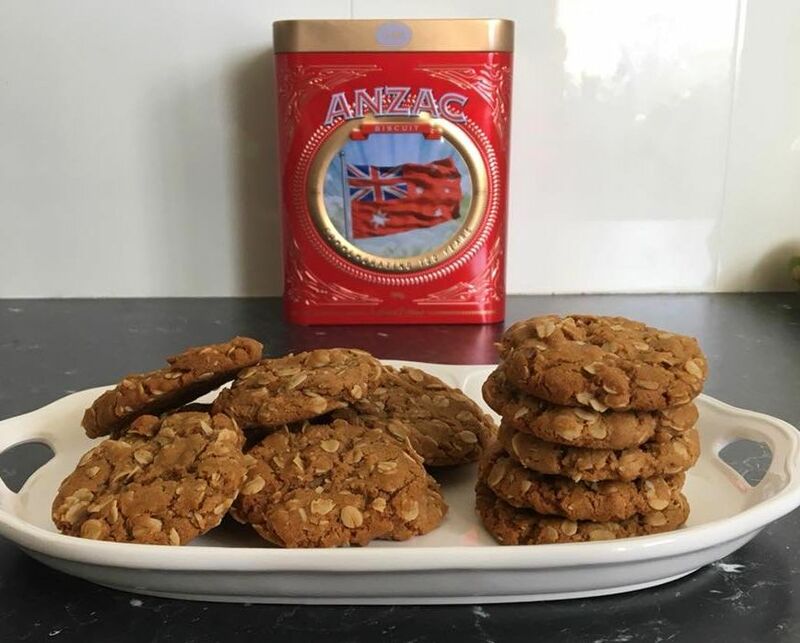 Once a year we make these, we really should make them more often as we love them, but it has just become an ANZAC Day memorial biscuit, you need to make them to. Preheat oven to 170C/150C fan forced. In a large bowl combine the oats, flour, sugar and coconut. In a small saucepan add the butter, golden syrup and water. Stirring constantly over medium heat until the butter has melted. Stir in the bicarbonate of soda. Pour the butter mixture into the dry ingredients, stir to combine. Roll level tablespoons of the mixture into balls. Place on a baking paper lined baking tray, 5 cm apart, flatten with your fingers slightly. Bake for 16-18 minutes or until biscuits feel slightly firm. Leave on the baking tray for 5 minutes before transferring to a wire rack to cool completely. They biscuits crisp up once cooled.